Google announced its team has developed and will release later this year the first wearable smart jacket. That's right - a jacket you can wear and even wash that is connected to the internet. The jacket, known as Jacquard will be available in the fall and will allow users to control certain actions on their smartphone as they walk around town. It was co-developed with Levi's, is a dark color of denim and has a USB stick that slides into it and snaps into place as a button. It allows users to play, start and stop music; check the time of day; get directions; dismiss or accept phone calls and texts; receive vibrations on the wrist for incoming calls or texts; count things; forward songs in a playlist and multiple other things. We wonder how it will work with payments down the road and what app builders will seek to embed into it for users. 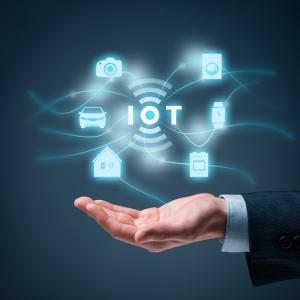 While not as cool perhaps as a jacket that leverages the Internet of Things (IoT), banks are always keeping an eye out for new and interesting ways to raise capital. Community banks are no different, although the path is often more challenging. However, there are opportunities out there. Commonly used capital sources for community banks include: passing the hat around the board table, raising it from local investors, reinvesting bottom line income back into the business, issuing certain forms of debt and other methods. In the alternative, your business customers can raise capital from bank loans, as well as from venture capitalists (VCs), private equity (PE) firms and other investors. As we all know, VCs invest various amounts of money in a variety of private companies, often when they are at a nascent level. These firms seek a big payoff down the road and to get there, may offer specialized guidance to the owners (such as marketing, budgeting, etc.). That said, most VC firms are pretty hands off. PE firms on the other hand usually deal with more established companies. They seek to invest once a company has a proven track record that they can count on. PE firms are investing in the management team in reality, which is important because they will often use debt for their investments. For this reason, PEs may take large stakes in the companies they invest in and be much more hands on. PE firms have a long-term view, but often seek out 20% returns or more for their money. When it comes to the banking industry, investment sources matter to regulators. The rules indicate that in order to avoid the need for prior regulatory approval of an investment, foreign investors must hold less than 5% of any class of voting shares (4.9%). For any other investor, the limit is less than 10% (9.9%) of any class of voting shares. Regulators consider investors to have a controlling interest if they own 25% or more of any class of voting shares. This is why you will commonly hear investment bankers talk about 4.9%, 9.9% and 24.9% ownership when discussing such things around institutional ownership with you. No one is too sure what the Trump Presidency means in this area, but community banks are hopeful things will loosen up and capital sources can be expanded in the future. Perhaps in the future we will see many more VC and PE investments flow into the system with an eye toward the community banking space as occurred during the credit crisis. In the meantime, be sure to review all regulatory considerations for capital before diving into any new sources - no matter the connection to your bank. Yields popped up 4bp as the trade deficit narrowed more than expected, and investors perceived promise in the approaching US-China talks. Bank of America research finds in Q4 2016, its customers logged onto its mobile app 970mm times. During the entire year, the mobile app was accessed 3.8B times. Meanwhile, the bank indicates more customers now bank using mobile devices than either desktop computers or through retail branches. Amazon now allows shoppers to download a barcode via text message that lets them load balances and shop at participating retail stores. Clerks in the store can add up to $500 to the customer's Amazon balance and the customer can use the funds to buy goods and services (without paying fees and with immediate availability). CNBC reports AlixPartners research finds the number of retailers filing for Chapter 11 bankruptcy protection hit 9 in Q1 of this year, which is equal to the grand total in 2016. Pew research finds 50% of US adults are unable to identify examples of phishing, have not heard of ransomware or were not aware that wireless routers do not automatically encrypt data flowing through them. Only 33% were aware that https meant a link was encrypted. Bankers should continue to educate customers and staff in this area to help protect their banks. Fed research finds banks may be cutting back too much on their people or not adding additional trained staff as needed to address a shifting business model. Regulators particularly cite concern that banks may not be devoting sufficient resources to back-office operations, internal controls, and compliance programs commensurate with their increasing size and complexity. Gartner research finds that by 2020, customers will manage 85% of their relationships without talking to a human. Fiserv research finds 76% of people say they are satisfied with their primary financial provider.